A trunk/chest with character! 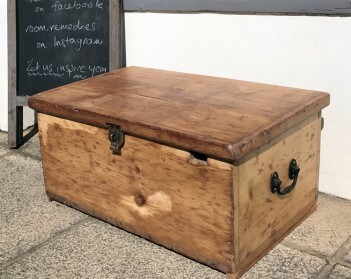 This antique pine box from circa 1900 has a zinc lining inside it and a removable sectioned tray. It has a brass lock, hasp and iron handles. It has been polished and waxed.